SHOCK AND amazement gripped residents of Wangara, a village near Nsawam in the Eastern region on Wednesday, when a 23-year-old man killed his father, having slashed the throat of the old man with a cutlass. The man, whose name was given as Numeglo Alavanyo, killed his father, Norvinyo Alavanyo, whilst the old man was fast asleep on his bed. Briefing DAILY GUIDE, the Nsawam District Commander, DSP Alex Wowolo, stated that on December 16, 2009, around 11am, the police received a desperate call that a man had murdered his father in cold blood. “The police rushed to the scene only to find the lifeless body of an 80-year-old man in a pool of blood in his room”, he disclosed. The Police Commander added that the suspect was unable to flee, following his arrest by some residents of the village. He was immediately handed over to the police, who transferred him to their custody. During interrogation, the suspected murderer told the police that after returning from the farm around 10am on the fateful day, he found his father asleep in his room and something prompted him to slash his throat. DSP Wowolo said Numeglo Alavanyo claimed to have discovered that the victim was his father only after he had slashed his throat. He is expected to appear before court today. 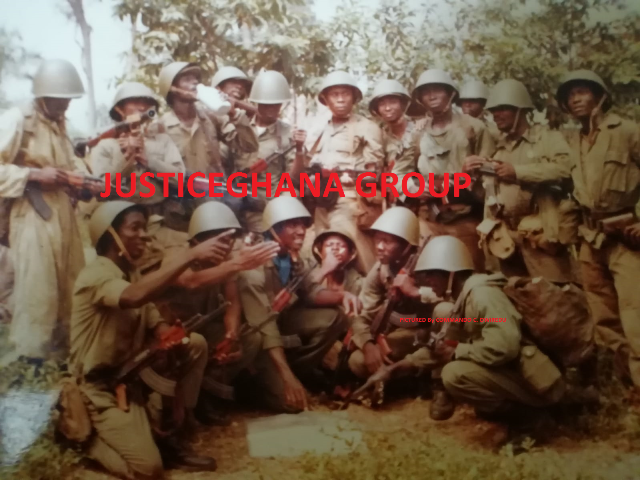 Briefing the paper, the suspected murderer’s elder brother, Kwesi Alavanyo, indicated that on that fateful day, he went to the farm with Numeglo Alavanyo, as their father was then still asleep. “Numeglo Alavanyo, who could not work, then left the farm very early for the house as I joined him later”, he said. Kwesi Alavanyo, who claimed he could not work alone, returned to the house after the departure of his brother a few minutes later. Upon reaching the house, he heard a loud distress call and rushed to his father’s room only to find his brother, holding a cutlass smeared with blood, standing by the old man. “I then rushed to the police station and my junior brother was picked up thereafter”, he added. The body of the 80-year-old man has been deposited at the Nsawam Government Hospital morgue awaiting transfer to the Police Hospital.